James E. Shepperson was born in Roanoke, Charlotte, Virginia in 1858 to Parker and Matilda Shepperson. He is considered one of the most influential leaders and spokesmen among African American miners during the late 19th century and early 20th century. 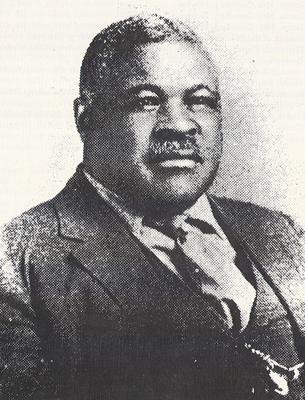 Shepperson worked in the coal fields in both Pennsylvania and Illinois and was subsequently instrumental in organizing black miners as strikebreakers in Roslyn, Washington. Shepperson moved to Kittitas County in eastern Washington State in 1888 where he worked various jobs in and around the coal mines in Roslyn, a coal mining town founded in 1886 by the Northern Pacific Railroad. He was also a businessman and labor recruiter in the 1880s and 1890s, where he was involved in the initial recruitment of African American workers for the coal mines in Roslyn. In 1888, the Knights of Labor instituted a strike that shut down the coal mining industry in Roslyn. To break the strike, the Northern Pacific Railroad hired Shepperson to recruit black miners from North Carolina, Kentucky, and his home state of Virginia. Between 1888 and 1889, Shepperson helped bring in more than 300 black miners and their families to the Roslyn area, representing the largest increase in the African American population in Washington to that date. In addition to recruiting black workers, he also spoke on behalf of the community, negotiating their demands with the Northern Pacific Railroad. Shepperson in the 1890s founded the Black Masonic lodge in Washington and served as the third Grand Master from 1909 to 1910. He was the co-founder of the Seattle branch of the International Council of the World in 1901, an organization that promoted the arrest, trial, and conviction of whites who initiated racial violence. James Shepperson operated a recreation hall in Roslyn in the early 1900s. He died in Roslyn although the date of his death is unknown.